Let´s explain step by step what is leverage, all about it, and how does it works in HotForex. Some people make some risky decisions like starting to work in the trading world and not reading about it. That is a huge mistake, especially if you are new; you need to understand what you are doing, you need to be sure about the place in which you will invest your money, and of course, you can’t go and jump straight into the practice, you need some theory to have a complete formation. These definitions will try to make you understand how you can get into this world without missing a single thing, especially not one as important as what is HotForex leverage. 2 Now, what is HotForex? 3 How does the HotForex leverage work? When we talk about leverage, we talk about an investment strategy that consists in the use of borrowed money. To be more specific, it consists in the use of a few financial instruments and borrowed capital to be able to increase the potential return in an investment. Another good definition is: “it refers to the amount of debt that is used to finance assets”. As such, the simple answer to “what is HotForex Leverage?” would be the leverage offered by HotForex. HotForex is a broker created in 2010 that is also owned by (or known as) HF Markets. Ltd and works with FOREX. This broker is called a “Straight through Processing (STP) broker”, that means that it ensures a fair, secure and transparent trading environment while having no conflict of interest. The HotForex leverage consists in the use of that strategy through this broker. When you start to work with HotForex, they will let you choose one type of account. Each one of them designs to meet the demands and needs of all kinds of traders. How does the HotForex leverage work? It is just like working with any other brokers. You will have to invest some of your money and work with it through the HotForex platform. 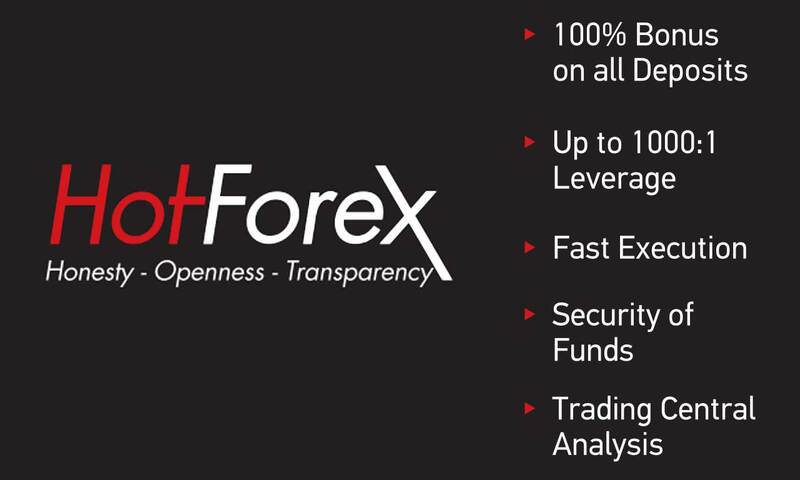 HotForex offers a specialized fixed spread account especially for automated traders and some scalpers and that connects to Interbank spread prices. The leverage in HotForex also varies by account classification; it will depend on the account that you choose to work with. For example, if you use a Micro account, the leverage conditions will be of 1:1000, if you use a Premium 1:400, and if you use a VIP the leverage conditions are going to be of 1:300. Something that you should know is that for clients of HF Markets (in Europe) Ltd Leverage is set to a maximum of 1:500, of course, it will always depend on the appropriateness status of the client that is trading with the HotForex broker. So for you to have a better idea of what is like to work with a type of account or what is HotForex leverage that’s linked to each account, we will show you the descriptions of each one of them. Micro Account: you have a minimum deposit that is $50 to open it. The micro account will offer you 1:500 leverage, spreads from 1 pip, and no commissions. It allows 150 maximum simultaneous orders that will let you open at any given time. The minimum deposit is $100. This type of account is mainly for scalpers, those ones that prefer having a lower spread to make a profit. All the spreads are going to start from 0. The maximum leverage is 1:200 and minimum trade size is 0.01 lots. The thing is that whit this account you will have to pay some smalls commissions. This minimum deposit is $500. The leverage is 1:400 it works just to enable flexibility with your position size for you to get proximally 60 lots maximum trade size. The spreads are from 1 pip, and it doesn´t have any commission. Another important fact of this type of account is that the maximum simultaneous open orders are 300. This is the most expensive account. This one is for traders with bigger sums of money. $20,000 is the minimum deposit, and the maximum leverage is 1:300. The spreads are going to vary from 0.2 pips, and the maximum simultaneous open orders are 400. $500 is the minimum deposit. The maximum leverage is 1: 400 and the spreads are fixed. This account is going to allow for you the maximum simultaneous orders which are 300. Something that is great about this one is that with the fixed spread, you will know how much the transaction costs at any time. The spread won’t increase suddenly during the news release. The minimum deposit is $500 with a maximum leverage of 1:400. The spreads will vary from 1 pip, and the maximum simultaneous open orders are 300. This account will allow you to subscribe for free and paid trading signals that are going to copy into your account. Whether you are looking to open an account, through the Premium, Micro, VIP, FIX or Auto Account you will be able to trade at the level you want. It doesn´t matter what your trading strategy or appetite for risk is; here you will find an account to match any of your needs. Now, I bet you are wondering what the legality of this broker is, now that you know what is HotForex leverage and how good they can get. Well, it’s an International Business Company officially registered in the Republic of Mauritius, so there is nothing to worry about, it is a legal broker that is starting to become famous in the world of trading brokers. HotForex is starting to be a leading guide in internet trading, of course having the focus on FOREX. If you are new in the world of trading, it´s important to be patient and to understand that success needs time and dedication. Remember that you will put your money on it. So, HotForex and its leverage are perfect for you if you are starting in this business. Just try not to make some of the constant mistakes of the trading beginners, like trading in multiple markets.